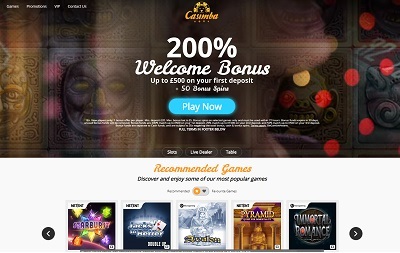 Casimba casino is licensed by the UK Gambling Commission and the Malta Gaming Authority, and offer 24/7 support via live chat and e-mail. Oh man, this is a beautiful site, alright. As soon as you land on Casimba you’re greeted with a really cool video at the top of the page which highlights the games you’ll find on the site, and below that, you the links to each game which load for you in a quite wonderfully sleek fashion. 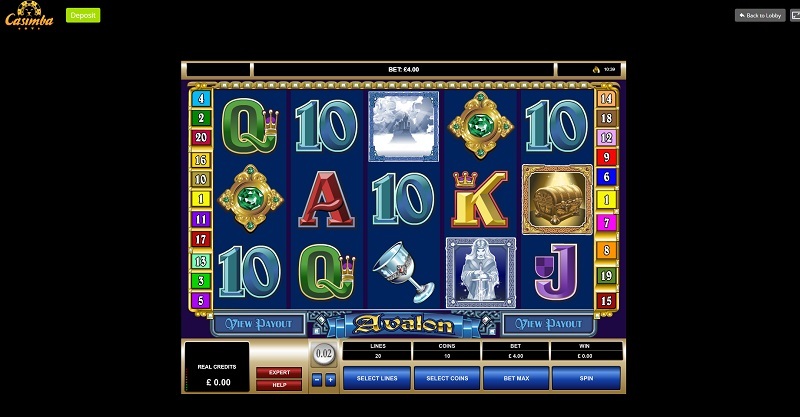 To be honest, looking around this place, you’ll quickly wonder if any casino offers a better website, as it’s as beautiful a site as you’d find in any genre. With awesome game filters and navigational journey thrown in too, Casimba have absolutely nailed the user experience here. The minimum withdrawal and deposit is £20. There is no maximum withdrawal or deposit limit. 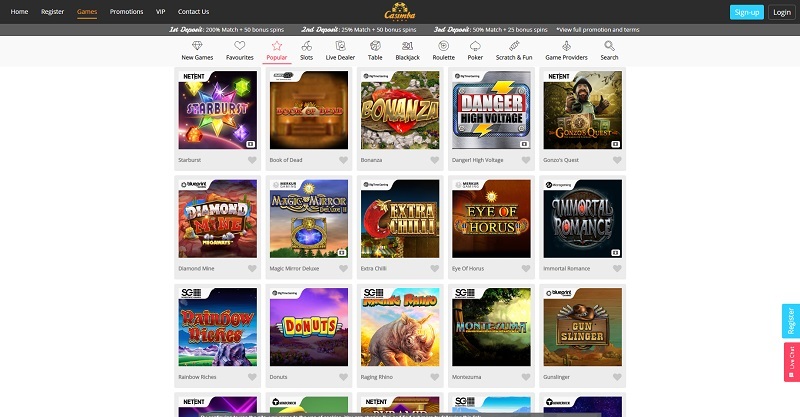 Offering over 20 game providers, you’d be imagining that you’d see a lot of quality and variety when it comes to the different games on offer at Casimba. And good news: you won’t be disappointed! From your popular slot games like Starburst and Rainbow Riches to your jackpot titles of Mega Moolah and Mega Fortune, from your traditional table classics to your live dealer, and then even more with instant-win games and scratch games too, Casimba has everything you ever wanted. And more! This is a first-class casino, right here. 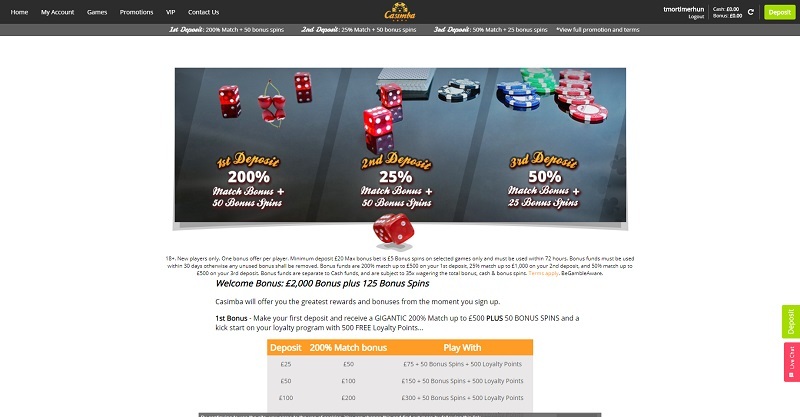 Many people will be drawn in by that wonderful bonus offer, of course, but what’s great about Casimba is that it’s backed up in abundance by a wealth of excellence. From its 24/7 support team to its host of payment methods, from its no maximum withdrawal to its 700 + games, Casimba nails everything you’d ever want from a casino. And then on top of all that, it offers arguably the most beautiful casino website on the internet. Wooooof! What a job from the Casimba boys and girls!